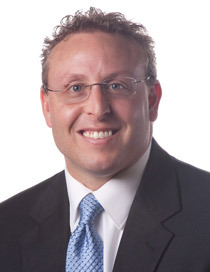 Daniel E. Harold is a Partner in the Birmingham, Michigan office of Morganroth & Morganroth. He joined the firm in 2000 after graduating from the University of Michigan Law School. Mr. Harold concentrates his practice in the areas of commercial and corporate litigation, commercial and corporate law, sports law, intellectual property and civil rights litigation. Mr. Harold has extensive experience in a wide range of complex commercial litigation involving contractual disputes, business fraud, securities fraud, patent, copyright and trademark infringement and claims involving multiple government agencies. He has also negotiated and consummated a number of complex commercial transactions. Lead trial counsel in commercial fraud, conversion and breach of contract litigation arising from a fraudulent investment scheme that resulted in monetary judgments for the clients. Lead counsel in negotiating and consummating the sale of the client's copyrighted security software to a publicly traded company. Co-counsel in administrative proceedings which: (1) resulted not only in restoring but upgrading the security clearance of his client, an army engineer who had been falsely accused of being a spy, from secret to the highest level, top secret; and (2) further resulted in an investigation and an official report issued through the Office of the Inspector General, Department of Defense, pursuant to a Congressional request, which formally exposed that the false charges of his client being a spy were the product of religious discrimination. Co-counsel in securities fraud litigation against a publicly traded company that resulted in the return of the clients' company. Co-counsel in patent, trademark and copyright infringement litigation against a company and its owner for the improper taking and use of the client's product and proprietary materials which resulted in a monetary settlement for the client against the infringing company and its owner. Co-counsel in commercial fraud, conversion and breach of contract litigation against a publicly traded company for failing to honor its partnership with the client in a multi-million dollar deal that resulted in a verdict and monetary settlement for the client. Co-counsel in insurance fraud litigation which resulted in a monetary settlement for the client. Co-counsel in successful defense of commercial claims in connection with the sale of a multi-million dollar apartment complex resulting in their dismissal. Co-counsel in monetary settlements for homeowners whose property was damaged by a sewer rupture and ensuing sinkhole after obtaining favorable decisions from the trial court and court of appeals. Co-counsel in successful defense of commercial claims involving multiple multi-million dollar real estate developments. Mr. Harold received his Bachelor of Business Administration (BBA) degree with Distinction from the University of Michigan Ross School of Business in 1997, and his Juris Doctor degree from the University of Michigan Law School in 2000. Mr. Harold is a member of the American Bar Association where he serves on the Advisory Panel, and he is also a member of the Oakland County Bar Association.